Glacier Peak Results, Our Big Award Win, and 4915 on TV! 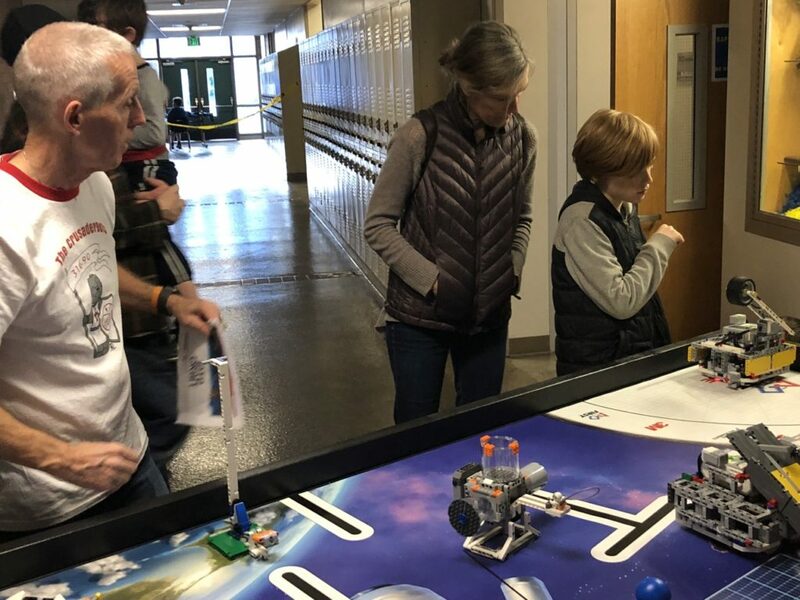 Our second District Event Competition was held on March 23-24 at Glacier Peak High School, in Snohomish just south of Everett, Washington. 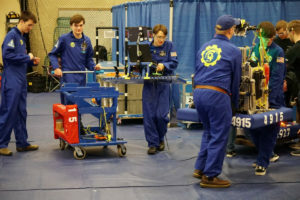 Our matches were filled with extraordinary highs with match play that included our robot CHAOS scored 6 cargo loads in one match and several Level 3 climbs that drew thunderous cheers from the entire crowd. Once again, we had incredible support from team members, mentors, parents, family member and others who traveled north to cheer us on! As usual, their support was incredible and motivated our drive team – getting them even more excited. Even the announcer’s table and the refs were following our team’s lead and doing the Macarena to other songs! But in the end, CHAOS lived up to its name and we did not make it to the elimination matches. And afterwards, we learned that this will be the first time Spartronics robot did not qualify for the District Championship since we do not have enough points to qualify to compete. We finished 4-8 and ranked 28th out of 38 teams competing at Glacier Peak. However, there was a HUGE surprise as we won a BIG award that could change how our season ends. Read the next story! 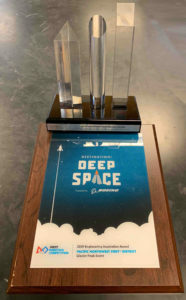 Spartronics HUGE Award at Glacier Peak! 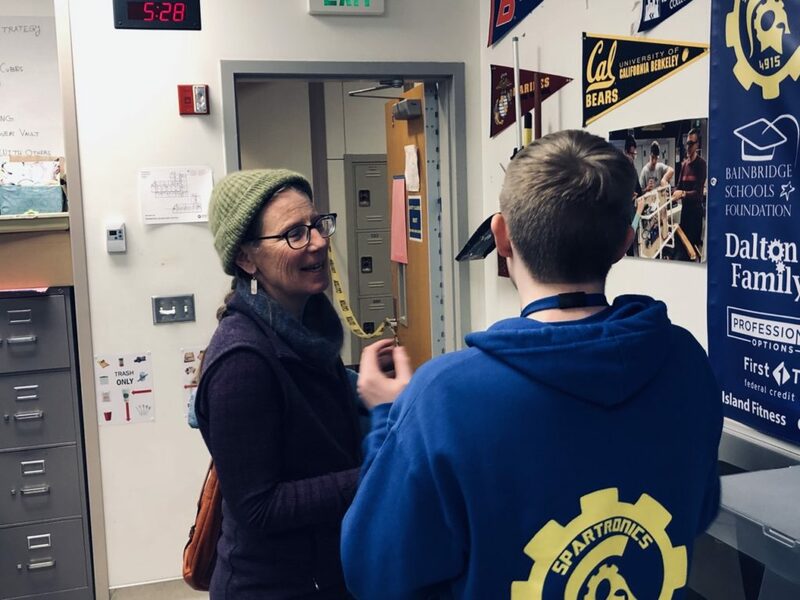 Despite the heartache of not qualifying with our robot for the District Championships next week in Tacoma, our team’s spirits went through the roof when we were awarded the coveted FIRST Engineering Inspiration Award. This is the second highest team honor for the highest competition level in FIRST, second only to the Chairman’s Award. Winning the award qualified Spartronics to compete for the Engineering Inspiration Award at the District Championship in Tacoma next week. 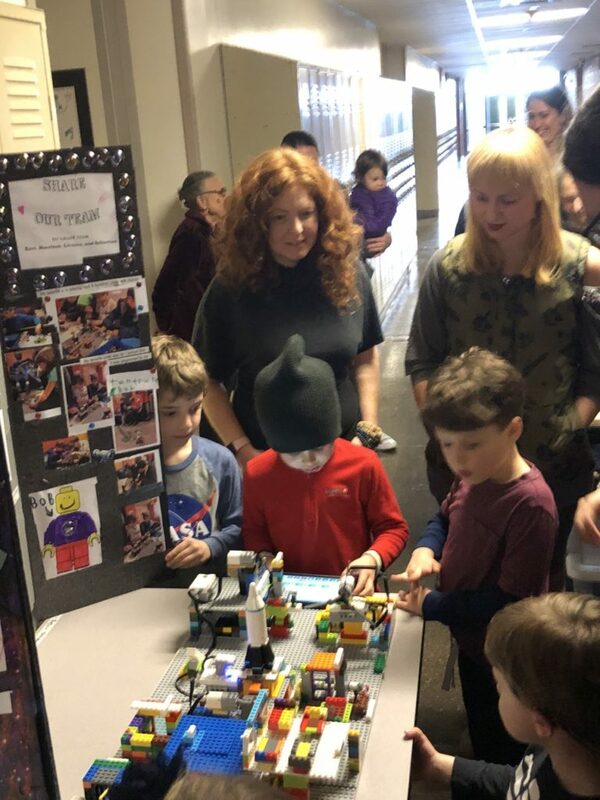 The award is highly prestigious, and “Celebrates outstanding success in advancing respect and appreciation for engineering within a team’s school or organization and community”. 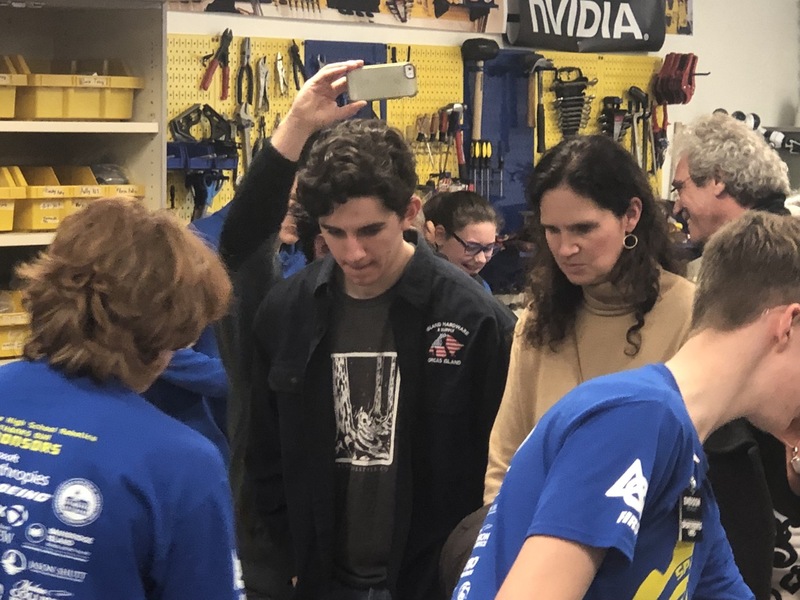 If we win at the district level, our team can move on to compete for the award at FIRST’s FRC World Competition in mid-April in Houston, Texas. 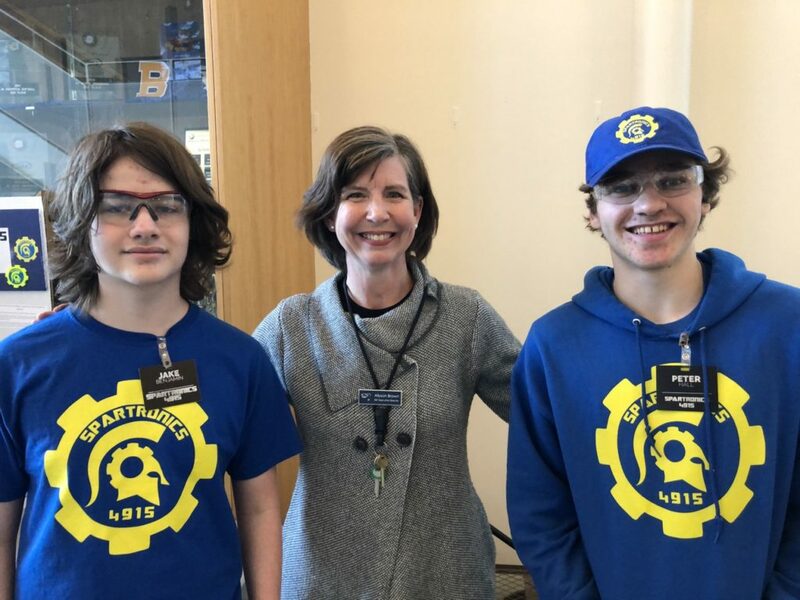 “The team is thrilled with this honor and owes its successes to continued support from Bainbridge Island School District and our amazing Bainbridge Island community,” said BHS junior and Spartronics Co-Captain Christopher Mentzer, who is also our team’s driver and has been a leader of our Marketing sub team. 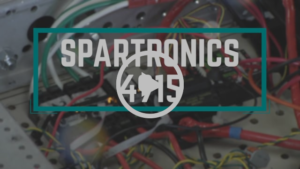 Watch Spartronic on TV: BKAT Features Team 4915! 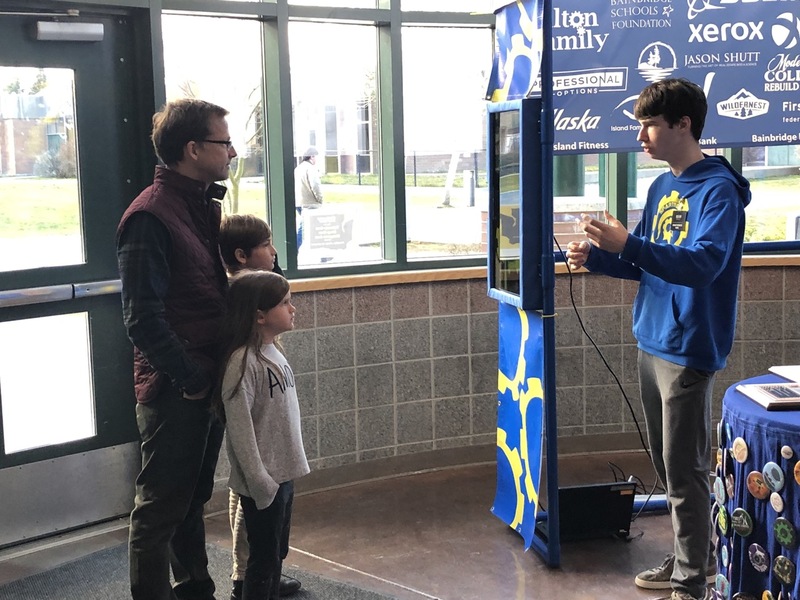 BKAT Presents is featured on Channel 12 on Bainbridge Island Comcast and throughout other Kitsap County cable stations, reaching 50,000 households. 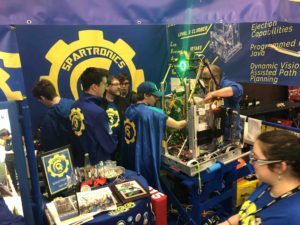 This edition of BKAT Presents features Spartronics! 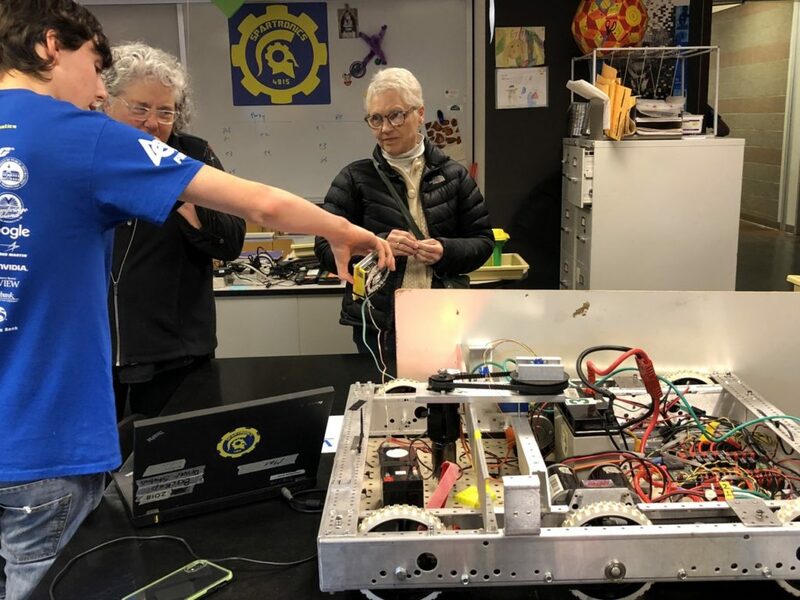 Meet Bainbridge Island High School’s robotics team – Spartronics 4915. 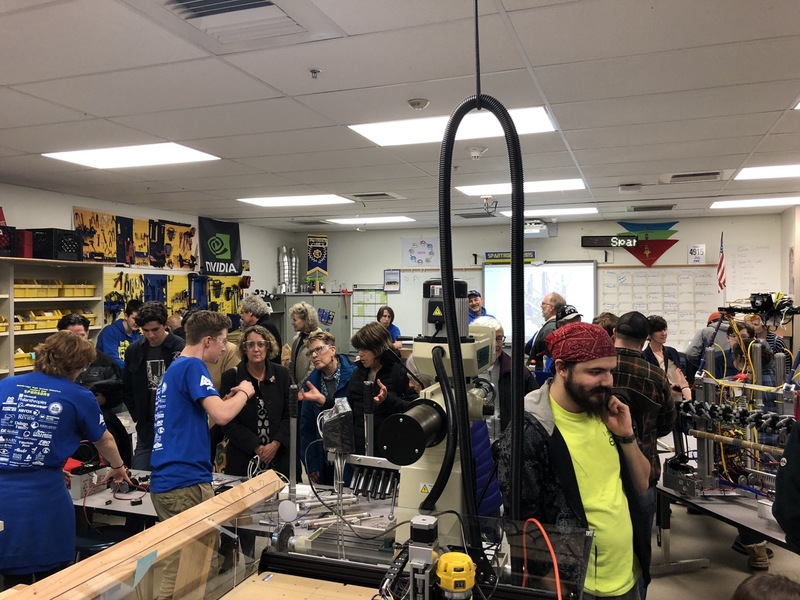 Watch our programmers, electricians, mechanics, and marketers gear up for competition in the FIRST Washington robotics program. 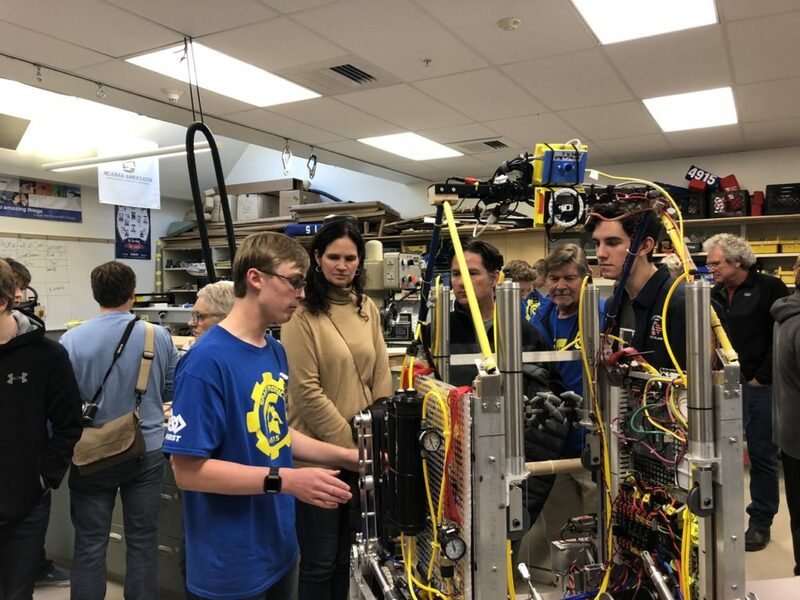 Co-captain Chris Mentzer gives a behind-the-scenes tour! Sunday’s the last day of Competition #2 at Glacier Peak High -Join us or Watch live! 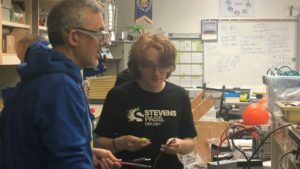 Spartronics Team 4915 is at Glacier Peak High School, in Snohomish just south of Everett, Washington. 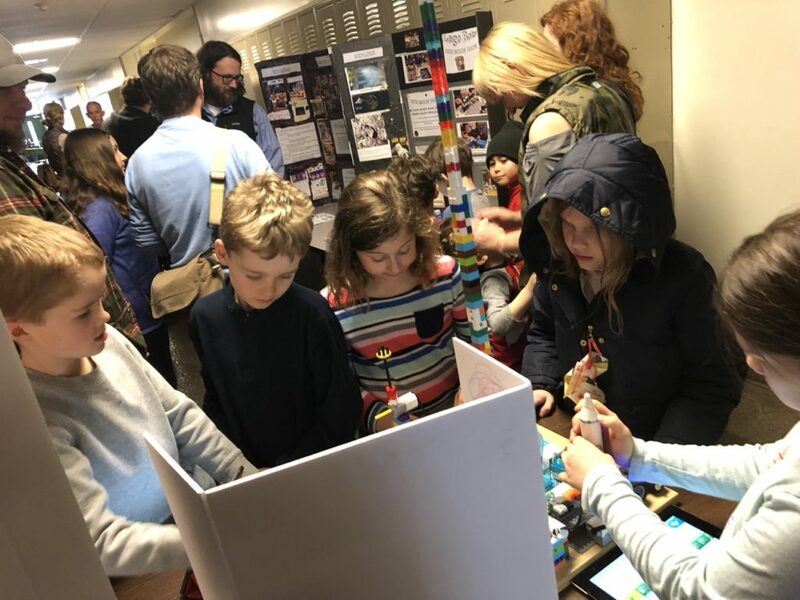 Saturday’s Matches were filled with extraordinary highs with Matches that included CHAOS loading 5 hatches with cargo in one Match and several Level 3 Climbs that drew thunderous cheers from the entire crow. Today, Sunday, March 24, we have 3 matches then Alliance selection. 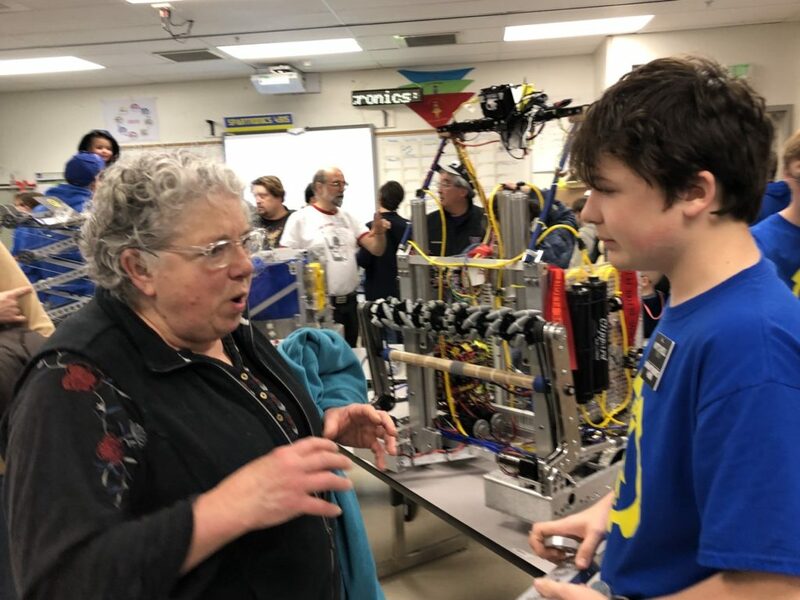 We finished the last two matches with a radio problem — it was disconnecting itself — but it is now fixed and if we do well we may have a shot at qualifying for the District Championship in two weeks in Tacoma. Right now it is a bit of a longshot as we finished with 4 wins and 8 Alliance losses yesterday ranked 29th out of 38 teams. Glacier Peak High School is located at 7401 144th Place SE, Snohomish, WA 98296, about 6 miles off I-5 Exit 186, straight East on 96 (don’t turn on Seattle Hill Road, go straight and up to the top of the curvy hill just over a mile from that intersection on the right). 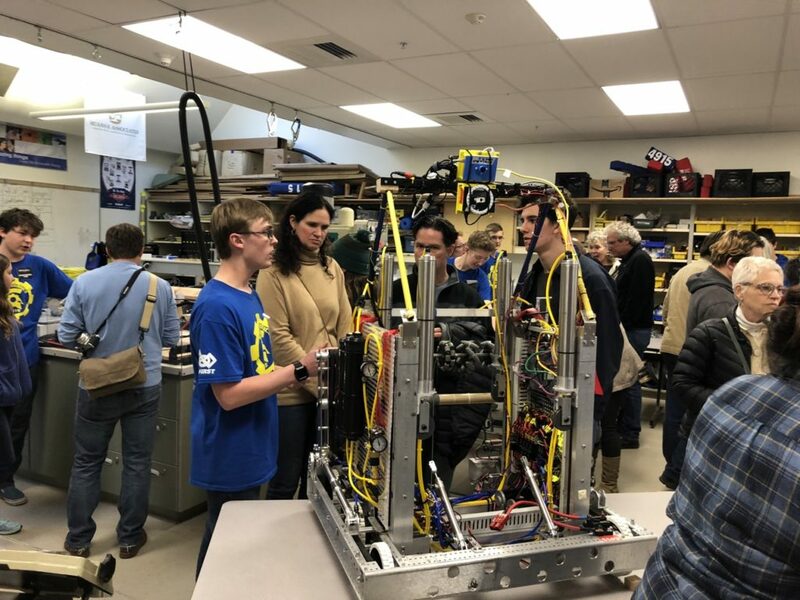 Qualifying Matches this morning start at 9:30 am today, Sunday, March 24, and Qualifying Matches are set to begin at 1:00 pm if we are fortunate enough to make an Alliance spection. 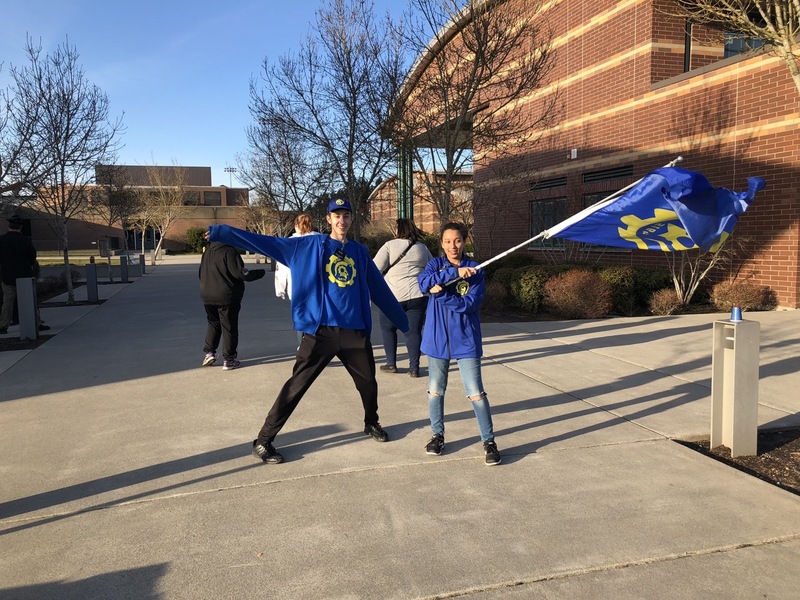 Our first District Event Competition on March 9-10 drew a crowd of more than 50 team members, mentors, parents, family member and others who traveled to Auburn Mountainview High School to cheer us on! 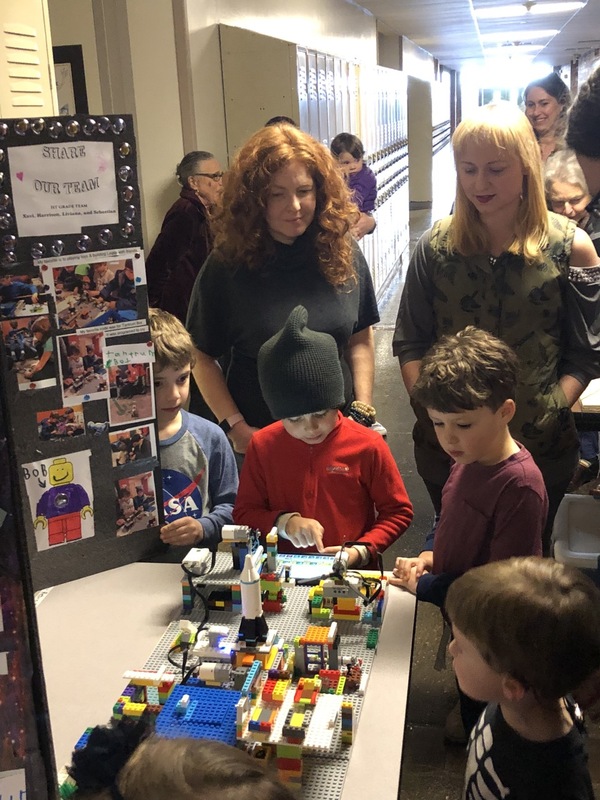 Their support was amazing; the Drive Team could hear them cheering all day long, and they danced both days leading many in the crowd to do the Macarena to nearly every song! 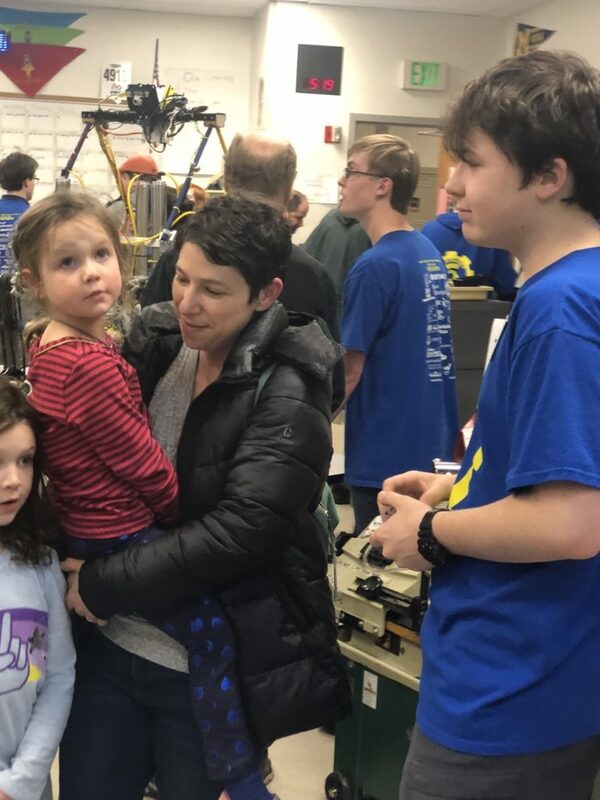 We made it to elimination matches when our robot CHAOS was selected by the #6 ranked team, Team 4450 Olympia Robotics Federation (ORF), during alliance selection. After inviting Team 6350, Clawbots from Enumclaw, our Alliance proceeded into Quarterfinals. While we were eliminated after losing two consecutive matches in Quarterfinals, we’re still very happy about what we learned from the competition. 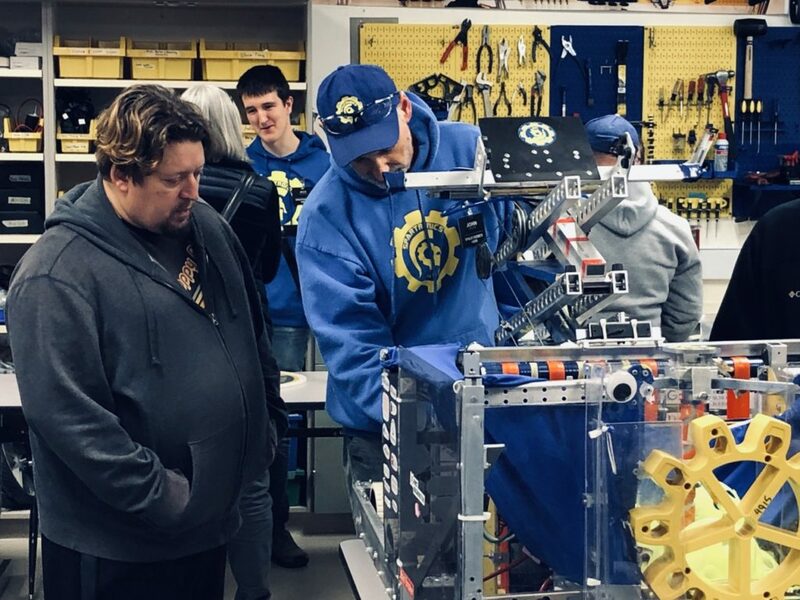 While CHAOS encountered many mechanical and programming issues, we were able to make quick repairs and adjustments after nearly every one of our 12 matches. CHAOS was also one of the few robots that could do what is called a Level 3 climb. 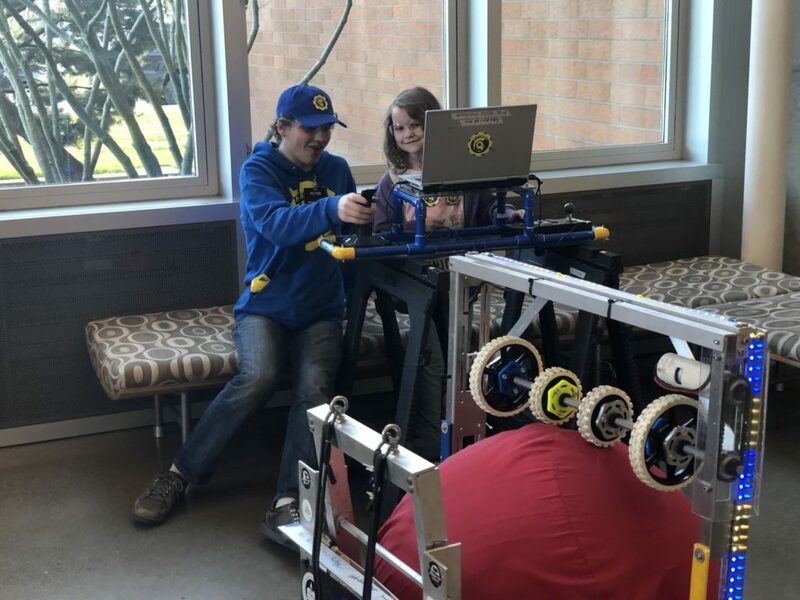 Our robot made several successful Level 3 climbs throughout the competition. 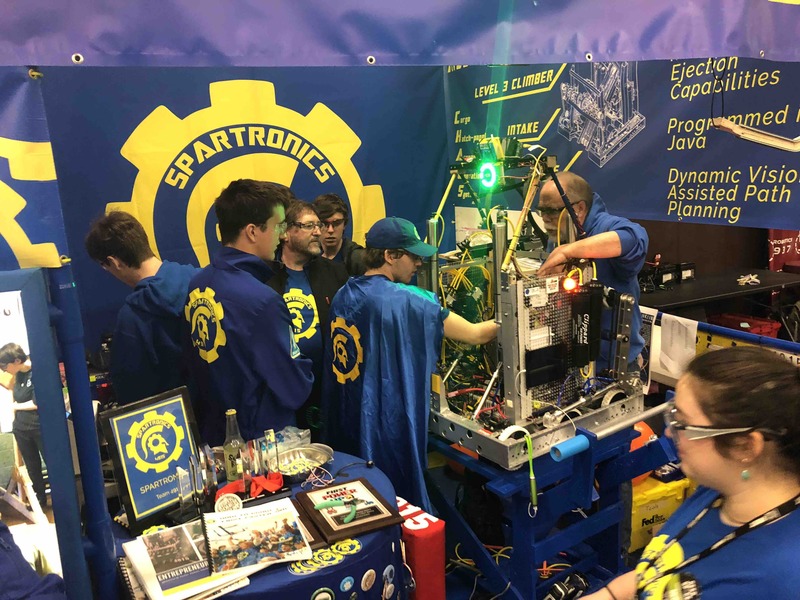 At one point, Spartronics was even ranked as high as #6 out of 38 teams! Finally, we are extremely proud of our mentor Riyadth and two of our students, Declan-Freeman Gleason and Cruz Strom. 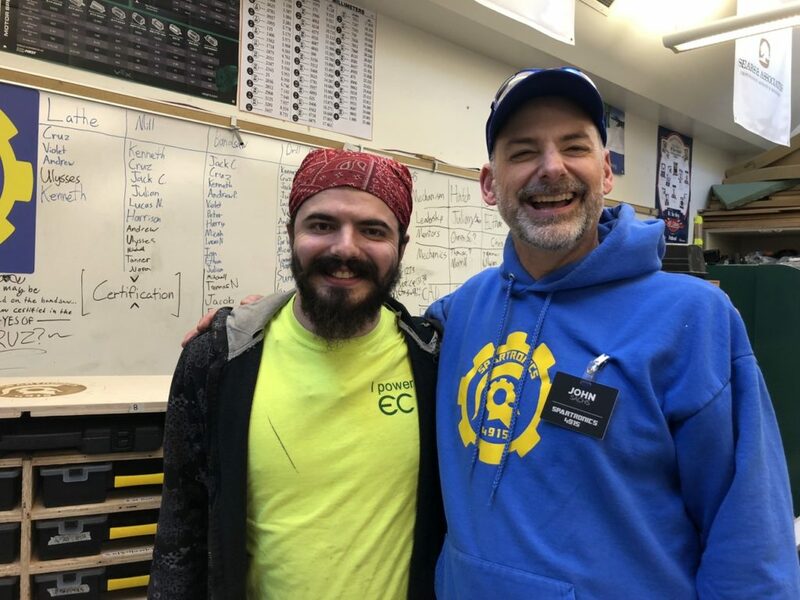 Riyadth, who has been with the team from the beginning, was nominated as a Woodie Flowers Finalist, an award for outstanding mentors. Declan and Cruz were both nominated for the most prestigious individual honor in FIRST, the Dean’s List Award. Overall, the team learned tons and had loads of phun at the competition. 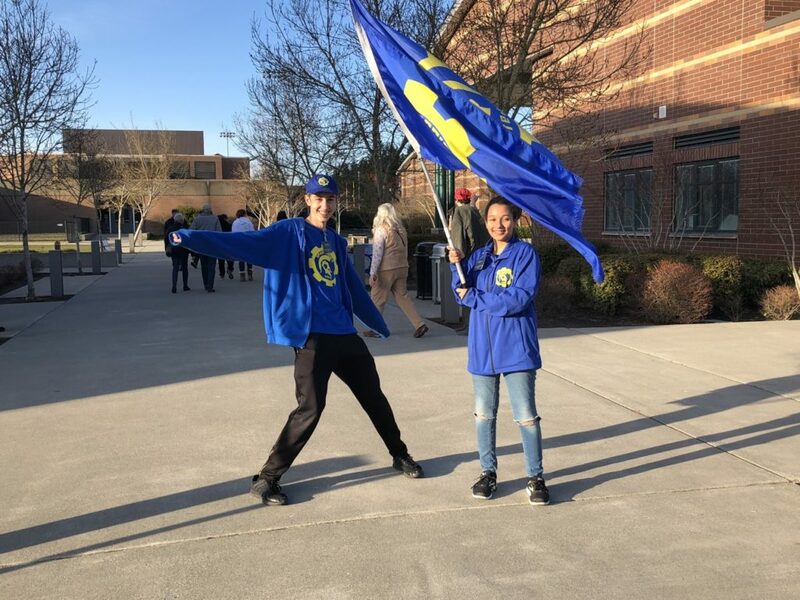 We’re very excited for our next District Competition this coming weekend at Glacier Peak High School south of Everett on March 23-24. 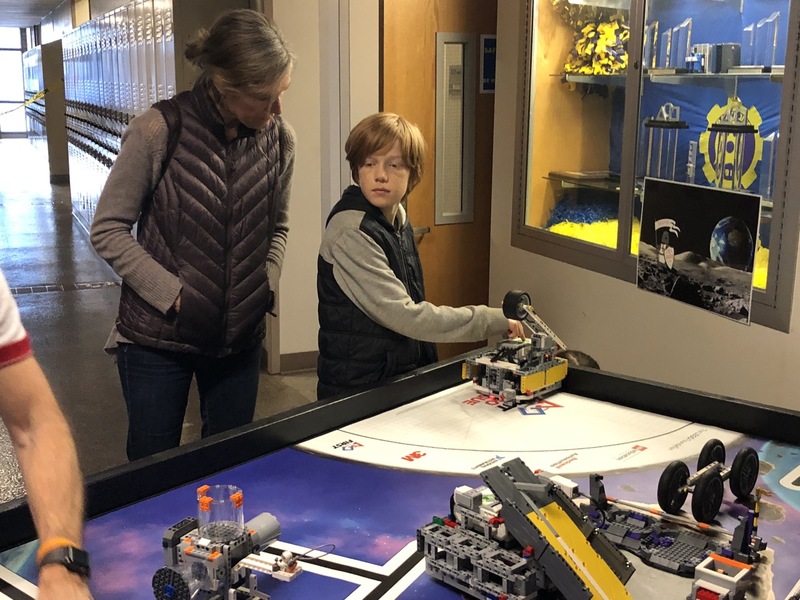 Every subteam is busy preparing for our competition at Glacier Peak next week. CHAOS’s cargo launching chute didn’t work as well as we would have liked at Auburn Mountain View. Luckily, students in Mechanics are making improvements so the launching mechanism will be ready for Glacier Peak. They’re also working on CHAOS’s ability to manipulate hatches. 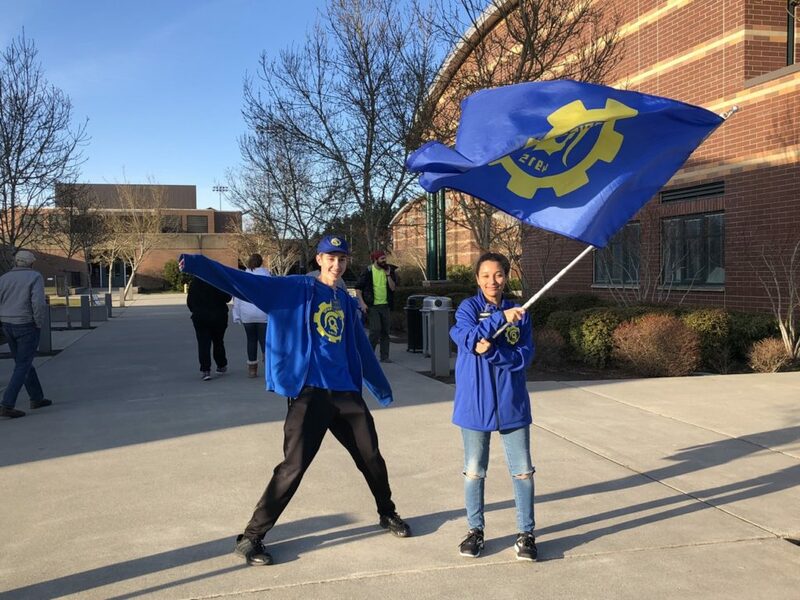 While these efforts won’t be completed in time for Glacier Peak, they would make a difference if we make it to District Championships, set for April 3-6 in Tacoma, WA. Electronics is mostly working on fixing electronic and pneumatic systems that were broken at Auburn Mountainview. 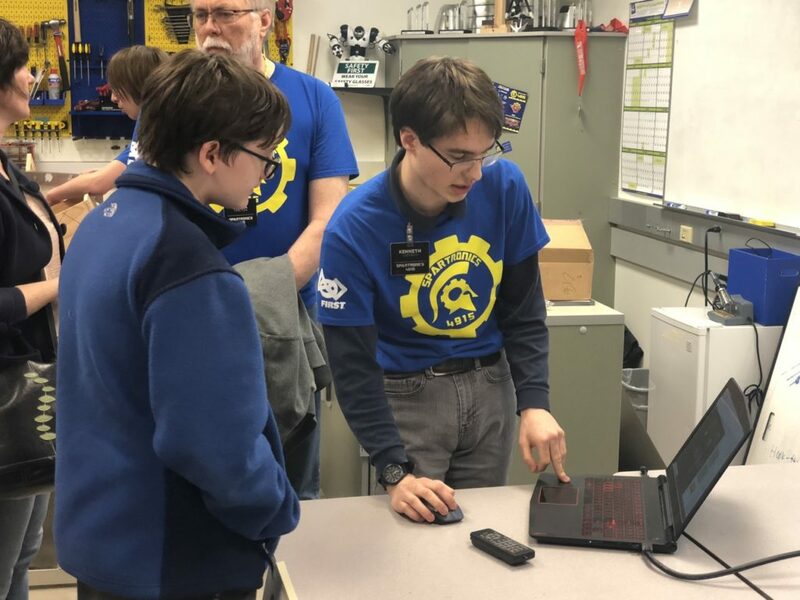 They’re also collaborating with the Mechanics subteam on CHAOS’s hatch mechanisms. 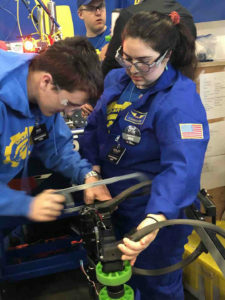 Programming is trying to improve the robot’s autonomous programs for Destination: Deep Space during the Sandstorm phase. They hope this will help CHAOS at Glacier Peak! Just because our Open House is over doesn’t mean Marketing’s work is done! 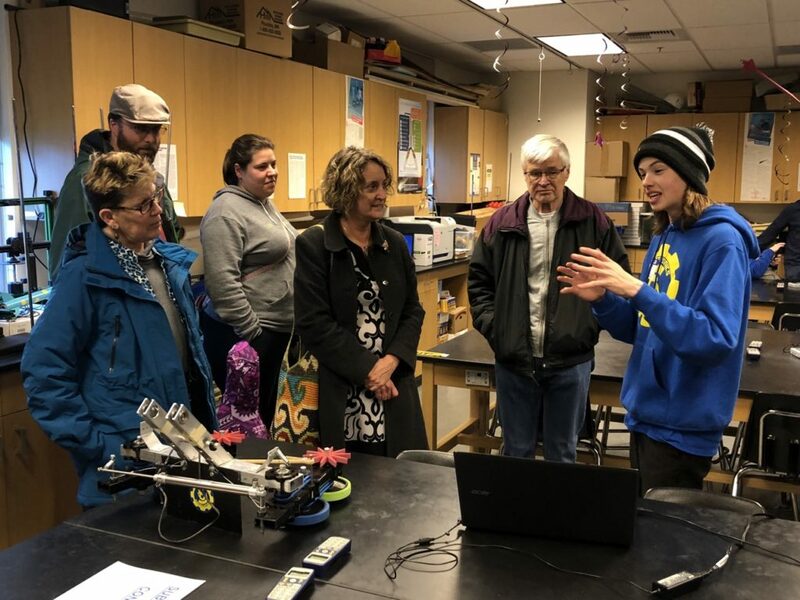 Other than updating portions of our website and keeping everyone current via our social media channels, Marketing students are also busy editing Spartronics’s Summary Business Plan, which briefly outlines our fundraising, marketing, and outreach efforts. This document will be given to judges at the Glacier Peak Competition in hopes of it winning the Entrepreneurship Award for Spartronics. 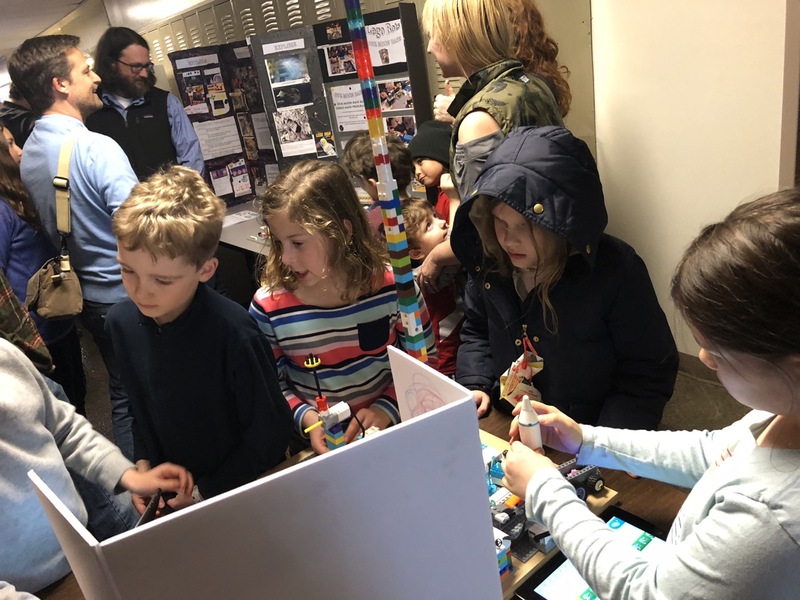 While we didn’t win the award at Auburn Mountainview, we believe that we still have a strong chance at next week’s event! 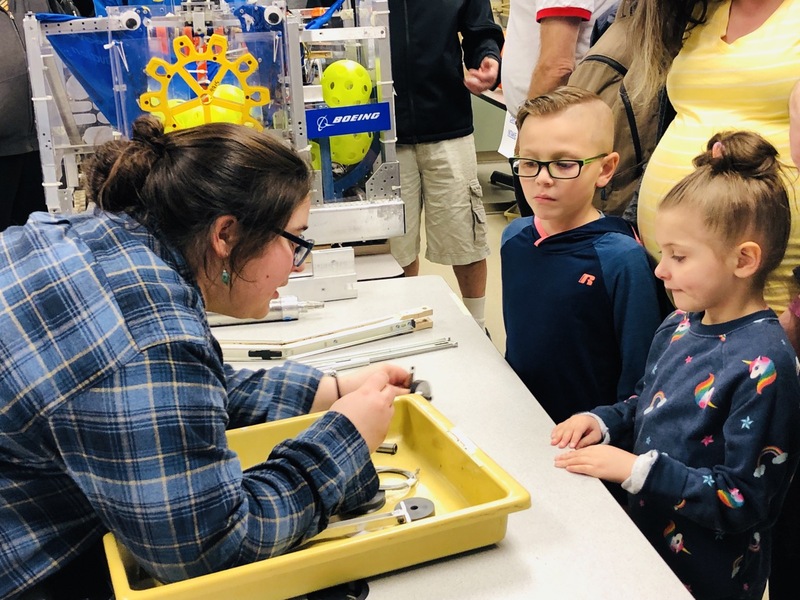 300+ People Turn Out for 5th Annual All Robotics Open House! 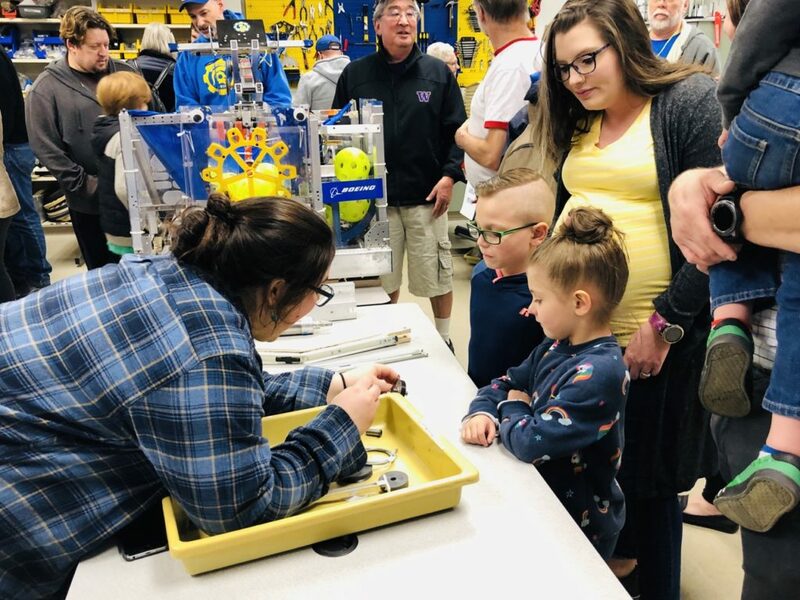 More than three hundred people attended our All Robotics Open House on Wednesday evening, March 13. It was our 5th Annual Community Open House and once again student led. 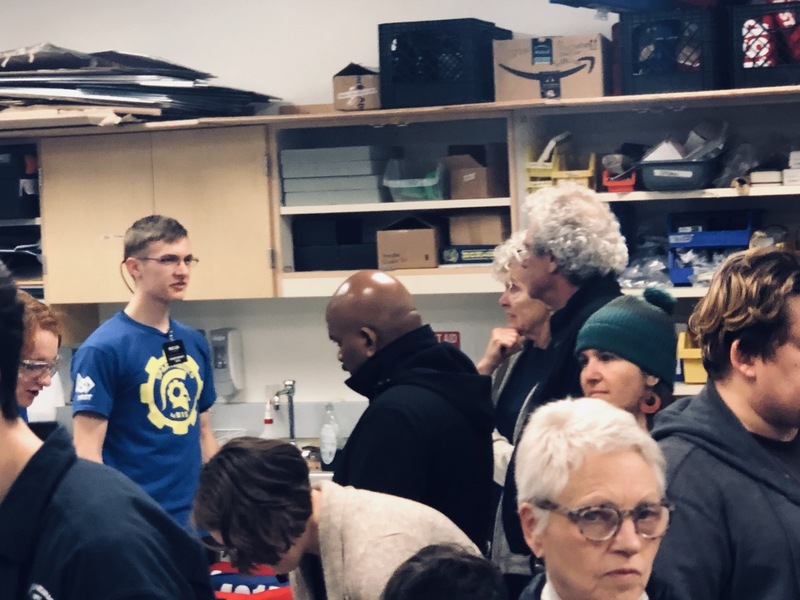 It reminds us what an amazing community we have on Bainbridge Island: parents, grandparents, siblings, teachers, administrators, young students who are building robots, students of all ages, School Board members, Sponsors, Schools Foundation leadership, neighbors, friends, extended family and other supporters turned out in mass. 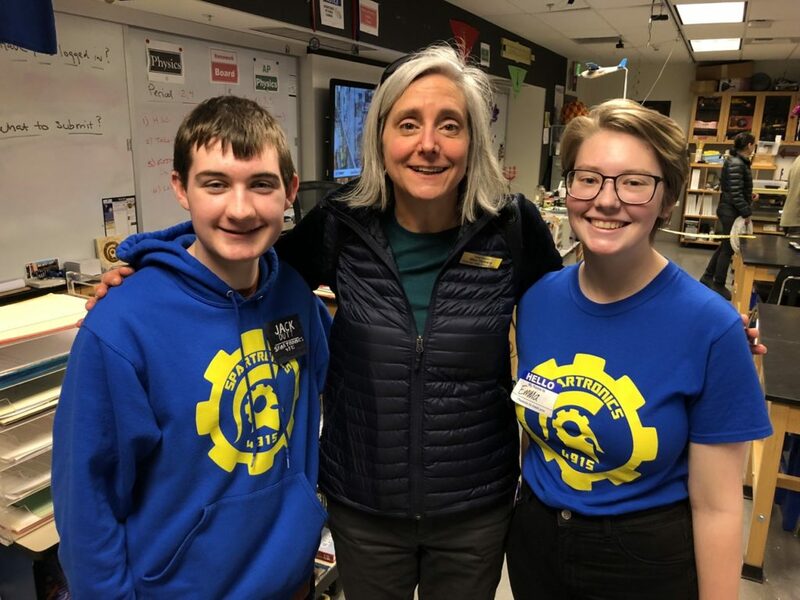 The entire team has a message for Bainbridge Island: THANK YOU – THANK YOU – THANK YOU! We would also have to extend a special thank you to the Bainbridge Review for its support of our team since we started five years ago. 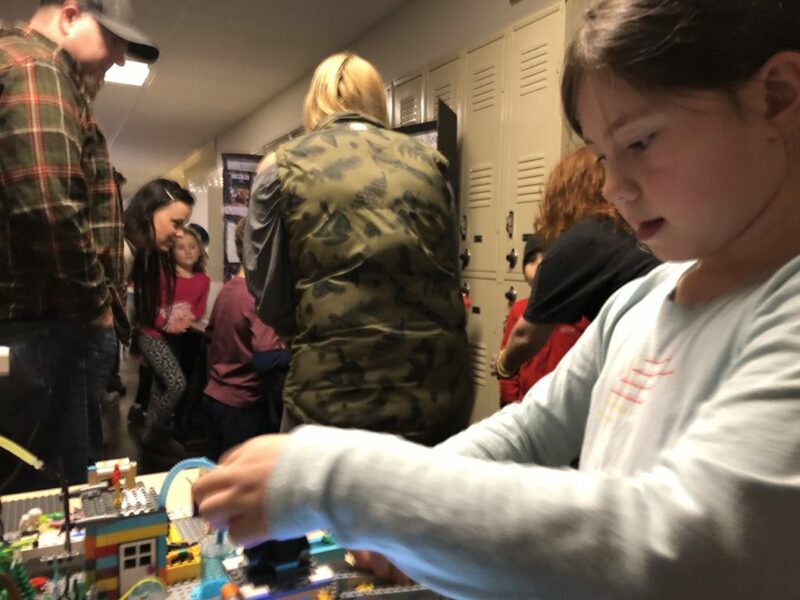 The Review ran a terrific story online helping tell the community about this event, as they have done almost every year! 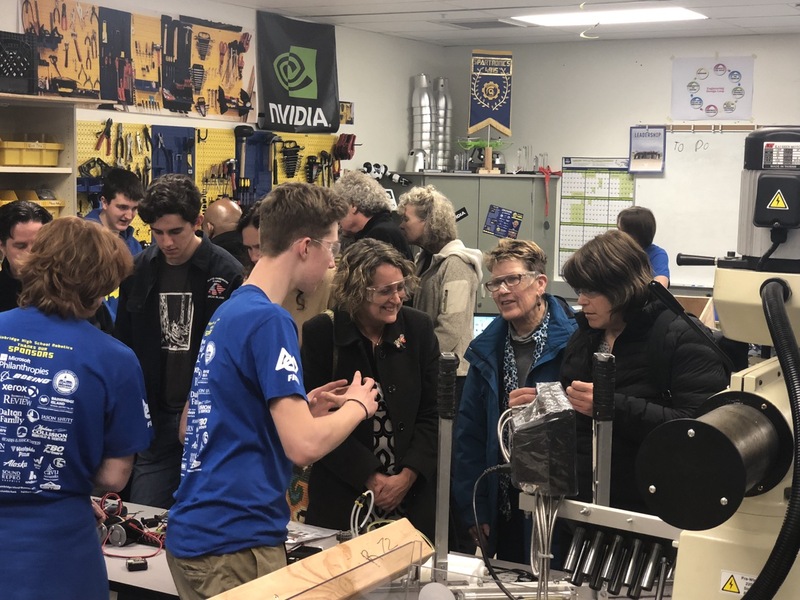 Also we must thank our Spartronics Families and our team Sponsors — especially our local Sponsors — who provide more than two-thirds of our funding! This includes Microsoft Philanthropies, Boeing, Bainbridge Schools Foundation, Bainbridge Island School District, ACE Hardware Bainbridge Island, Sears & Associates, Island Family Eyecare, The Dalton Family, Jason Shutt of Windermere Real Estate Bainbridge Island, Modern Collision, Professional Options, FBO Partners, CAVU Networks, BARN, Westside Pizza, WAV Group, Wildernest, Sound Reprographics, BIMA, Columbia Bank, Fairbank Construction and Town & Country Markets. 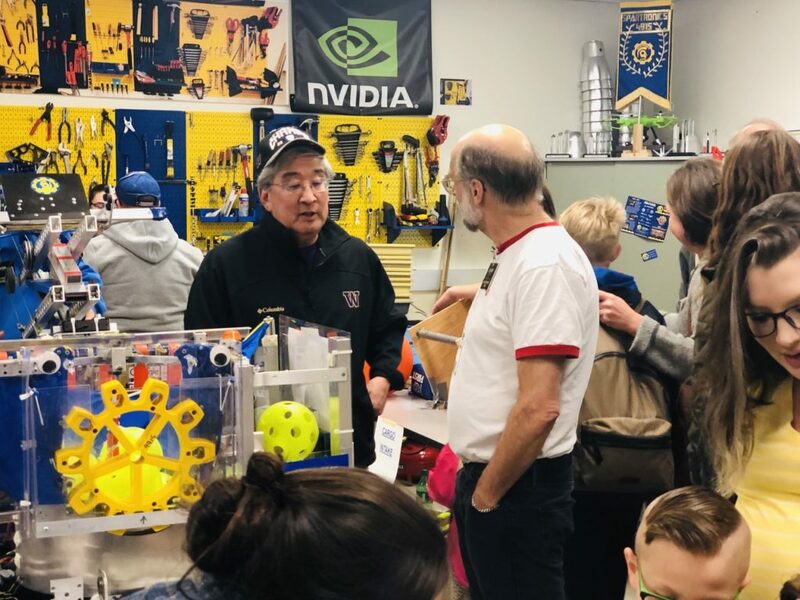 Bainbridge Island is helping Spartronics build more than robots: Islanders are helping us build our futures! 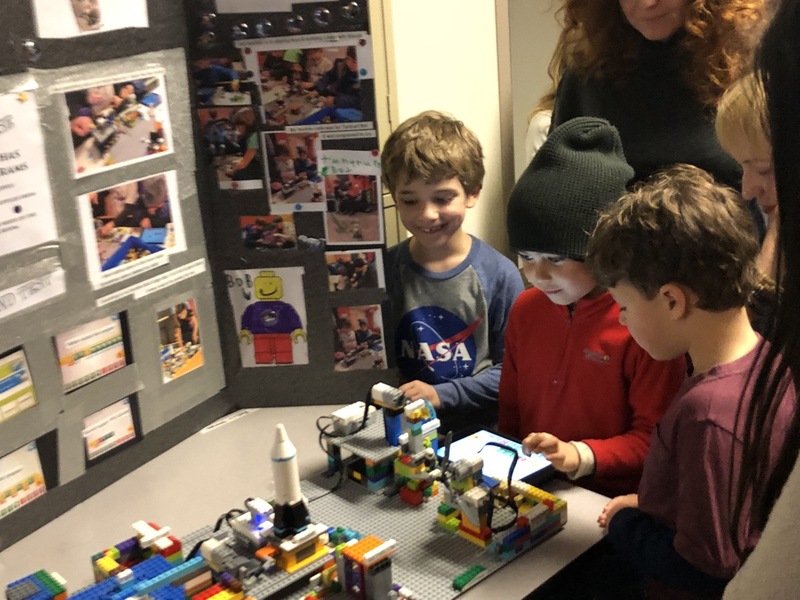 FLL Team from St. Cecilia! 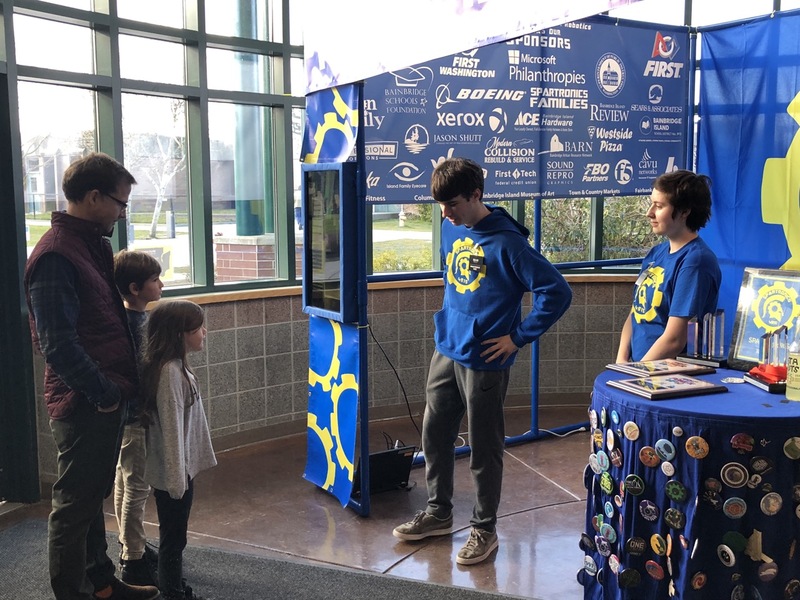 Spartronics students demo the process! Mentors pitched in at the Open House too! ATLaS is back for demo time! 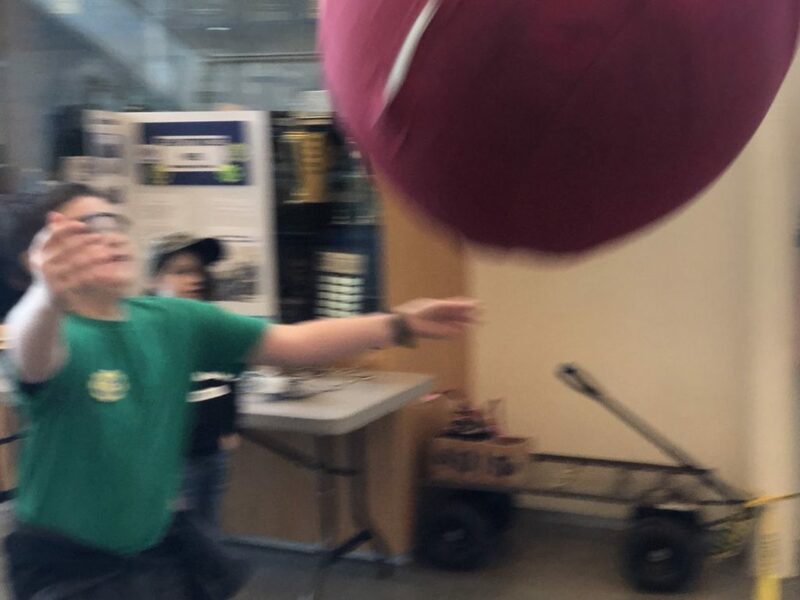 A young student launches the ball with ATLaS as another student catches it! Spartronic team members wave in visitors!